Bialetti, an Italian brand best known for its Moka Express is the #1 seller in Italy and has grown in the US and international markets to become an must-take stovetop coffeemaker for outdoor and fitness enthusiasts. When we travel, we take the Musa and Grinder with us. The Musa’s compact shape lends itself to small kitchens, backpacks and traveling lifestyles and we take one with us when riding in the Methow Valley and anywhere else with a cabin in the woods. Bialetti recognizes the “love” its Moka Express has received by outdoor/sports enthusiasts And, is the proud sponsor of the Team Colavita/Bialetti Women’s Cycling team. At home, we have a convection cooktop so use the Musa with the grinder. 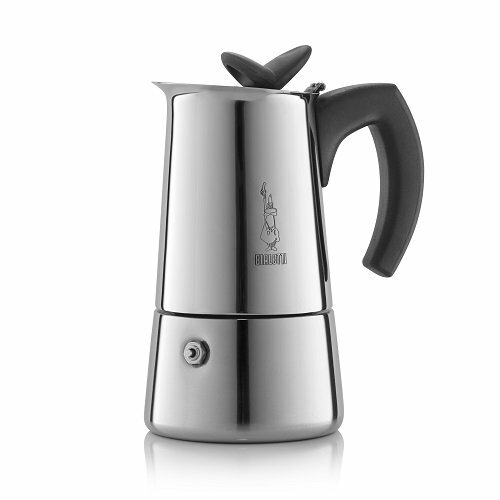 It’s stainless and produces a smoother coffee taste than the aluminum. The Musa is available in a 4-cup and 6-cup for $44.99 and $54.99 in Amazon. The portable conical ceramic burr grinder crushes whole coffee beans into the desired coarseness, ensuring superior coffee flavor. It has an easy to adjust wheel to set preferred coarseness, as well as measurement markings located on the bottom chamber indicatiing the amount of grounds needed for a coarse, medium, fine, and ultra fine for use in coffee press, pour over, moka pot and ibrik (Turkish brew). 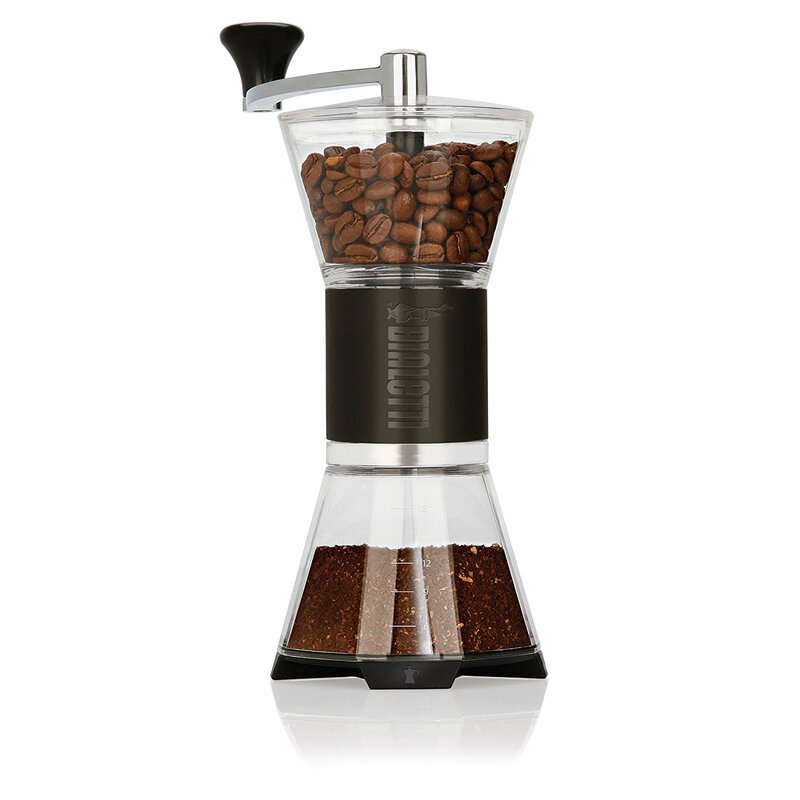 Bialetti’s Manual Coffee Grinder is available for an MSRP of $49.99. The Musa and Grinder work great and the company supports cycling. No wonder, they’re so popular with cyclists and anyone into the outdoors and making good coffee. Bialetti also makes coffee, but we take a locally roasted batch with us like from or Victrola.